The HLTAID006 – Provide advanced first aid is the Nationally Recognised (AQF) and WorkCover Approved First Aid course to provide participants with the skills and knowledge required to provide an advanced first aid response to a range of emergency situations and common illnesses and injuries. This is a group course only – no public courses are available for individuals. Additional fees may apply where you require an offsite venue. This course is delivered only to group bookings with a minimum attendance or charge of 5 participants. 1 Day Course – for those that hold a HLTAID003 – Provide first aid completed within the last 12 months from the course date. 2 Day Course – for those that don’t hold a HLTAID003 – Provide first aid certificate completed within the last 12 months from the course date. The HLTAID006 – Provide advanced first aid course includes an online pre-course learning module and a theoretical and practical assessment component at the course. Theory assessment includes the completion of a multiple choice theory paper. Practical Assessment includes formal assessment of practical skills including resuscitation skills. 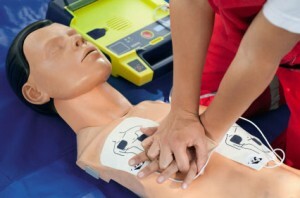 Please note all participants must be able to complete two scenarios where they are required to perform at least two minutes of uninterrupted CPR on an adult resuscitation manikin placed on the floor with correct technique to be marked as competent. On successful completion of this First Aid course, participants will be awarded the nationally accredited statement of attainment – HLTAID006 – Provide advanced first aid through our partner RTO – Healthcorp – RTO ID 91222..